There are countless kinds of engineering degrees (almost half the schools on this list have more than 15), and when you combine that with a specialization or a minor, you can craft your degree for any field. It might surprise you to learn that engineering majors go on to medical school or law school pretty frequently, where their technical expertise helps them excel. And of course, engineers of all kinds are, quite literally, building the world of tomorrow. But even if you have no idea what kind of engineer you want to be, the best engineering schools have solid programs in each of the major branches. And since most engineering programs share prerequisite and foundational courses, you’ve got time to decide after you get in. A BSE degree can provide you with the potent blend of scientific acumen, mathematical prowess, and technological expertise you need to start a career as an entry-level engineer. To help you sort through all of the BSE degrees out there, we mined data from The National Center for Education Statistics and ratings from school-ranking entities like USAToday.com, CollegeChoice.net, BestValueSchools.com, ValueColleges.com, Niche.com, GraduatesHotline.com, BestCollegeValues.com, and SuperScholar.org—so this list of the top 10 online bachelor in engineering programs is the best of the best. Since most of these schools are public institutions, they receive funding that makes tuition significantly more affordable for state residents. But since there’s a small chance that you happen to live in that state, we’re going to tell you which school is most affordable for non-residents. Purdue University is #9 on our list, and it’ll give you a great education in engineering for about $29,000 per year. The national average graduation rate for all four-year postsecondary institutions is 59%. The lowest graduation rate of any school on this list is 76%. And while they all have great graduation rates, several are well into the 90s. Princeton University may only come in at #10 on our list, but it boasts a 97% graduation rate. Just 3% of all full-time, non-transfer students fail to graduate within six years. That’s very hard to beat. As you’re probably aware, the job outlook for engineers in the U.S. is very bright. Any of these schools can give you the expertise and credentials needed to launch a promising engineering career, but one of them had the data to back this up. Purdue University (#9) has a 90% job placement rate for all their engineering students. So if you’re worried about actually getting a job, this school is a great choice. That being said, many of these schools have exceptional research, internship, and extracurricular opportunities that could be just what you need to make your resume stand out. As you’ll soon see, all of the schools on this list have a heaping helping of engineering degrees for you to choose from. MIT, however, has the most. They’re #2 on our list of top engineering schools, and they have 19 degrees for you to choose from. Stanford University (#4) and Texas A&M University (#6) are right behind though, each offering 18 different engineering majors. We’ve narrowed it down to 10 of the best engineering schools in the country, but within them, there are a lot of paths you can choose. A lot of those paths are pretty similar from school to school, but some majors are unique to one institution. If you’re not looking for a specific kind of BSE, there are two ways I’d recommend approaching this list. Find a school you’re interested in, and worry about the exact engineering major later. None of these schools are going to be upset if you don’t come in guns blazing with your whole career lined up. Most of them share a lot of core classes across all of their engineering programs, so you have time to decide which program is right for you. Hunt for a major that interests you. All of these schools are going to give you a top-tier education in engineering, so if you don’t already know what kind of engineer you want to be, it’s OK to skim until you find the degree that jumps out at you. And of course, if you already know you want to focus on mechanical, electrical, or civil engineering degrees, almost all of these schools have them, so compare away! OK last thing: the average college acceptance rate is about 65%. Most of the schools on this list are very competitive, and their acceptance rates are significantly lower than that. I’d recommend you apply to at least a couple of them. Georgia Institute of Technology’s College of Engineering has eight engineering schools, which offer a total of ten bachelor of science degrees. Many of these programs also offer several concentration options, allowing you to further specialize your degree. 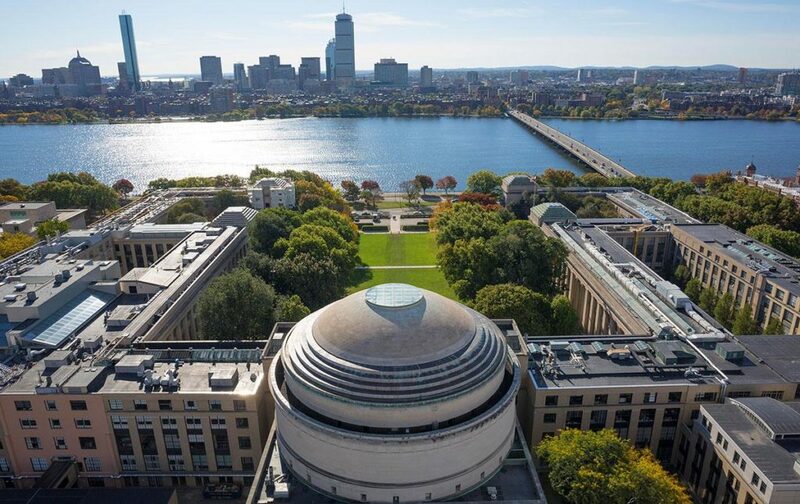 Massachusetts Institute of Technology, better known as MIT, offers 19 bachelor of science degrees through their eight engineering schools. MIT also provides undergraduates with extraordinary opportunities to bring their ideas to life, including the MakerLodge for inventors to learn how to use the latest engineering equipment, the Sandbox Innovation Fund which allows undergrads to fund their ideas, and the Undergraduate Research Opportunities Program (which 90% of all undergraduates participate in). The degree options are a little complicated. Most of the schools offer different tracks, including generic BS in engineering degrees and undefined bachelor of science degrees with curriculum defined by the individual school. These are typically selected by those wishing to pursue graduate studies in another subject. Many of these programs are accredited by the Accreditation Board for Engineering and Technology. Note: Once you’re accepted into MIT, you can enroll in any of the engineering programs. Students don’t have to apply to get into them. Fun fact: MIT offers professional education programs to help working engineers stay at the forefront of innovation. University of California-Berkeley offers nine bachelor of science in engineering programs through their college of engineering. Additionally, all of Berkeley’s engineering students can get hands-on experience in design and prototyping through the Jacobs Institute for Design Innovation, and they can learn how to launch new ventures and companies through the Sutardja Center for Entrepreneurship & Technology. UC-Berkeley’s faculty write the textbooks used by industrial engineering institutions all around the world. Stanford University offers 18 bachelor of science in engineering degrees through their School of Engineering. About half of these programs are interdepartmental. Many of them are also offered as minors. Stanford offers some of these engineering classes in an online learning format. They also have a technical communications program to help students improve their technical writing, as well as a global engineering program that allows engineering students to study abroad. Additionally, an engineering diversity program provides special opportunities for eligible students. Note: While Stanford has an incredible graduation rate—94%—they also have one of the lowest admission rates in the country. Only 5% of all applicants get in. California Technical Institute, better known as CalTech, offers four bachelor’s of science degrees in engineering. You can also add a minor in aerospace, control and dynamical systems, environmental science and engineering, structural mechanics, or several other related fields. CalTech offers a wide variety of research opportunities for undergraduate students that take place both between terms and during academic periods. About one-third of all students participate in research during the school year. Engineering students can also pursue study abroad and other academic enrichment opportunities like cross-registering at partner colleges. This program is eligible to be part of a double major. You can also design your own engineering major through the interdisciplinary studies program. These five programs are far and away the longest engineering programs on this list. The shortest program I could find was 258 credits using the quarter system, which comes out to about 172 semester credits. The longest major comes out to 324 semester credits, which is more than two and a half times as many credits as the average bachelor’s degree. I called the registrar’s office to confirm. Note: Like Stanford University, CalTech has an impressive 94% graduation rate, but a notably low admissions rate. Theirs is just 8%. 95% of all undergraduates at CalTech participate in some form of research. CalTech has four Nobel laureates in residence. There are more than 150 student clubs at CalTech. 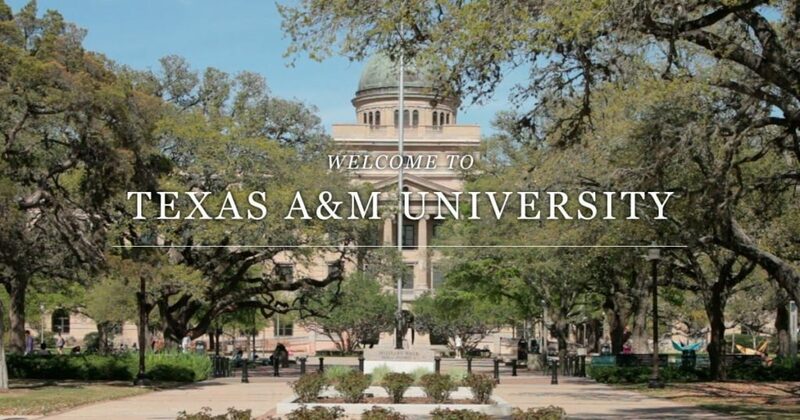 Texas A&M University has 14 departments in their College of Engineering, and they offer 18 BS in engineering degrees. A senior-level class in this program requires you to work with a team to design, build, and test an aircraft, rocket, spacecraft, or rotorcraft. You can add a minor in business by taking on just one additional course. The special emphasis areas aren’t listed online. While similar to the CSE degree, the CE degree is offered through the Electrical and Computer Engineering Department, whereas the CSE degree is through the Computer Science and Engineering Department. Each degree has slightly different curriculum. It’s worth comparing if you’re interested in computer science. Texas A&M’s electrical engineering program includes research and study abroad opportunities, and the option to pursue a master’s while earning your BS. The MMET program seeks to “provide a high-quality, application-oriented education producing professionals who can effectively contribute to leadership, the advancement of manufacturing and mechanical engineering technology, and improved performance of industrial endeavors”. Currently, the only focus area available is in mechatronics, but more are being planned. Many ME students participate in “cooperative education,” which allows them to work in actual engineering positions while earning their degree. Underwater and moored system design. Note: You may see “radiological health” listed as a major in Texas A&M’s nuclear engineering department, but they’re no longer accepting applicants, and it will only remain as a minor option. The Colorado School of Mines offers six BS in engineering programs and two minors. The school’s tradition of excellence in engineering stretches back more than 140 years. This program offers two specialty tracks in process engineering and biological engineering. There’s also an optional combined BS/MS program. In addition to Colorado School of Mines’ six majors, you can add a minor in bioengineering and life sciences or humanitarian engineering. The University of Texas at Austin offers 11 BS in engineering degrees through the Cockrell School of Engineering. The school also offers an 18 credit humanitarian engineering certificate and an international engineering education that lets you conduct research abroad or partake in an industry immersion experience. Additionally, all engineering undergraduates have ample opportunity for internships, externships, and undergraduate research. Six graduates of this department have gone on to become astronauts for NASA and the European Space Agency. The average starting salary of a bachelor’s degree recipient from the Cockrell School of Engineering is just over $73,000. 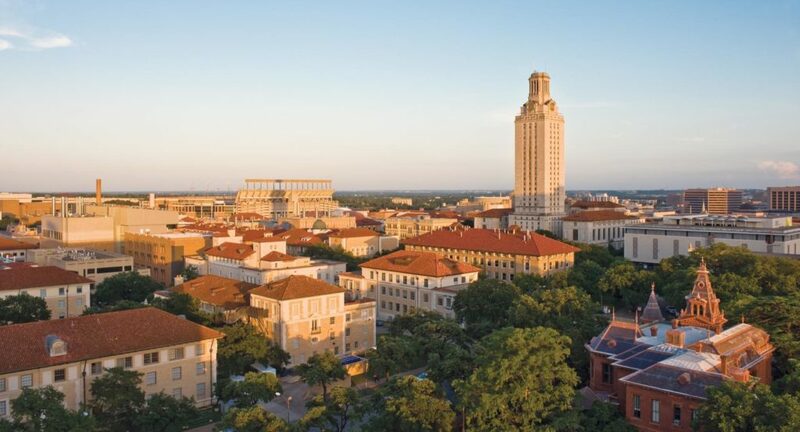 Fun fact: UT-Austin has an Engineering Career Assistance Center which is specially tailored to help engineering students transition from academia to their career. Purdue University offers 16 BS in engineering degrees through 13 schools and departments. Within each department, students have plenty of research opportunities and industry partnerships they can take advantage of. Your senior year includes a team-based design project. There’s also a combined BS/MS program that can be completed in as little as five years. There’s also a pre-med track and a five-year combined BS/MS option. This program gives students the chance to participate in “co-ops,” which are essentially long-term internships. Purdue has their own nuclear reactor! Fun fact: Purdue has over 900 student organizations including more than 70 in engineering. Princeton University offers six bachelor of science in engineering degrees through their School of Engineering and Applied Science. Princeton might not be the first school that comes to mind when you think about engineering, but they’re a world-renowned research institution, and their mastery of the liberal arts adds to, rather than subtracts from, their engineering education. All CS students participate in “independent work” which may take the form of research. 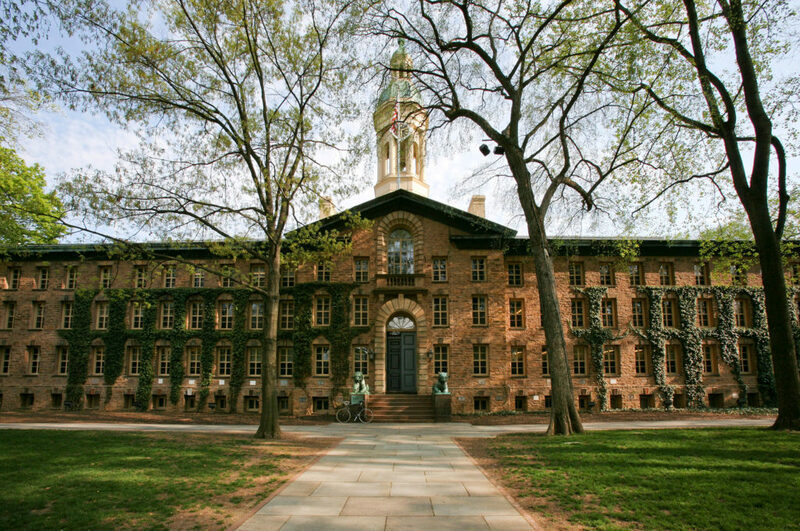 Note: Princeton has an astounding 97% graduation rate, but their admissions rate is just 7%. That’s better than some schools on this list, but admission is still extremely competitive. Fun fact: Princeton is one of the eight Ivy League schools. That’s bound to make an impression on your resume. Most of the schools on this list are accredited by different regional accrediting bodies, so if you do decide to transfer, you’ll have a lot less trouble. Some schools will accept credits from any regionally-accredited school, even if it’s accredited by another organization. This goes for graduate studies, too. If you plan on pursuing a master’s, pay attention to who your BS degree is accredited by.